Microsoft is also working on Conversation Canvas for Cortana. The report claims that Cortana will move itself from the taskbar flyout panel to a conversation canvas UI with more focus on the assistant-like feature. Microsoft is making some changes to how Windows Search works in Windows 10. 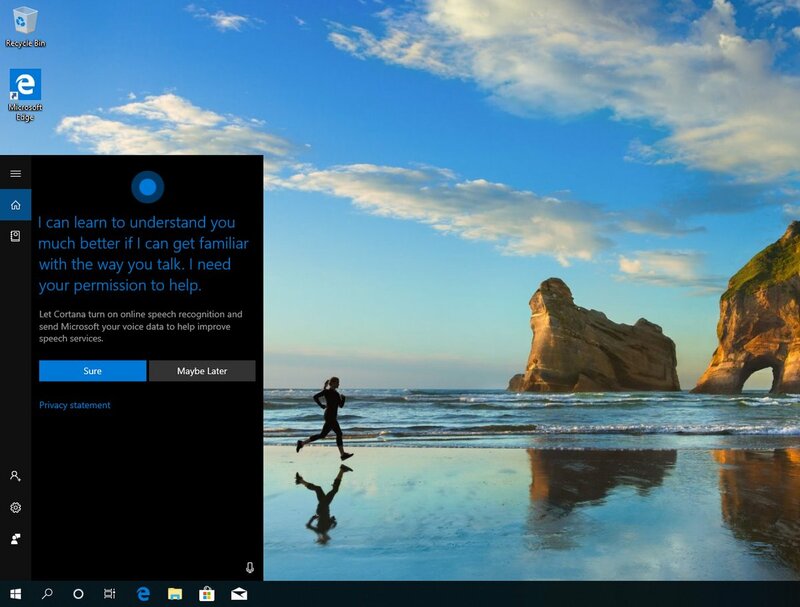 With Windows 10 19H1 update, Microsoft is reportedly planning to remove Windows Search from Cortana. It’s a smart move as this could eventually allow you to use the search feature flawlessly even if you don’t like Cortana. 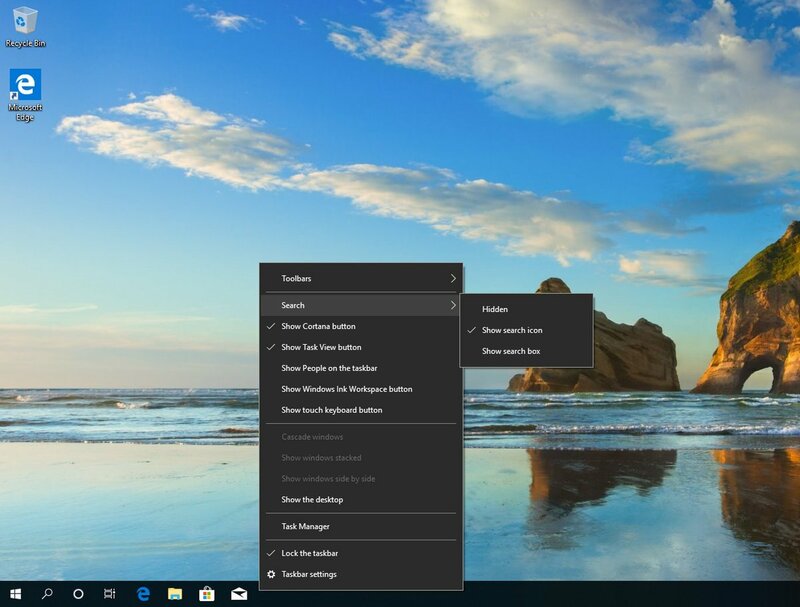 Windows 10 19H1 will separate Cortana and Windows Search, and two different icons will be displayed on the taskbar. 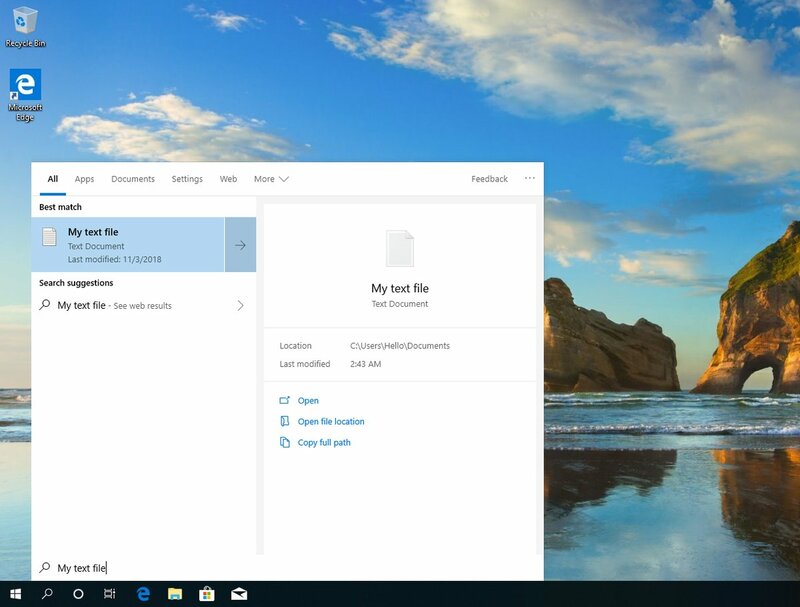 It’s a pretty neat change as this would allow Cortana to act more like a personal digital assistant and you can use Windows Search if you’re looking for files, pictures, music and other stuff stored in your local drive. “In 19H1, Microsoft is planning to separate Windows Search from Cortana, a smart decision in my opinion. Cortana will eventually be able to move from the usual flyout into something called the Conversation Canvas, providing a more assistant-like experience with little to no content obstruction,” Albatross said in a series of tweets. As you can see in the screenshots above, the taskbar’s context menu will get additional options that would allow you to hide search icon. Microsoft hasn’t officially confirmed these changes yet but more details will be shared in the coming days. According to Microsoft’s typical schedule, Windows 10 19H1 is projected to be finalized in the spring of 2019, so more improvements in this regard could be shipped in preview builds.